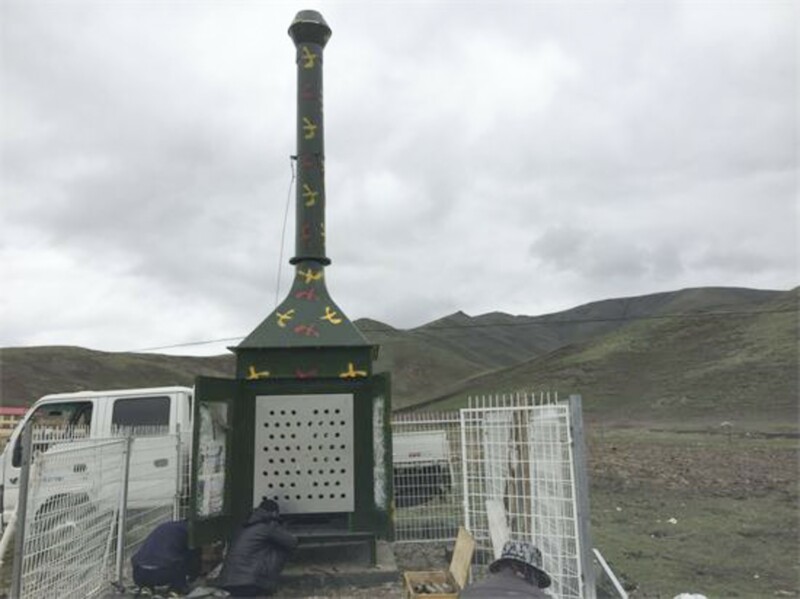 (TibetanReview.net, Mar28, 2018) – China is installing tens of thousands of fuel-burning chambers high on the Tibetan mountains to create a relatively low-cost rain making system for a project covering an area three times the size of Spain, reported scmp.com Mar 26. These fuel-burning chambers will release particles into the atmosphere to allow the formation of massive clouds. 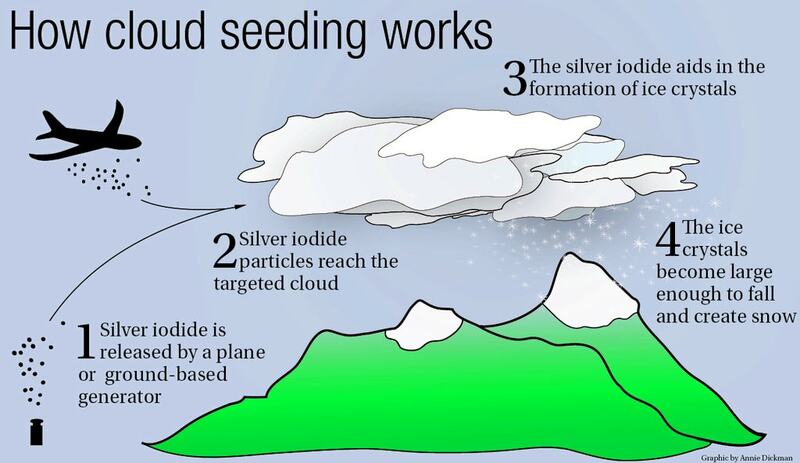 “The chambers burn solid fuel to produce silver iodide, a cloud-seeding agent with a crystalline structure much like ice,” the report said. Rain is formed when moist air cools and collides with particles floating in the atmosphere, creating heavy water droplets.The silver iodide produced by the burning chambers will provide the particles required to form rain, the report noted. The system could increase rainfall in the region by up to 10 billion cubic metres a year – about 7 per cent of China’s total water consumption – the report cited researchers involved in the project as saying. 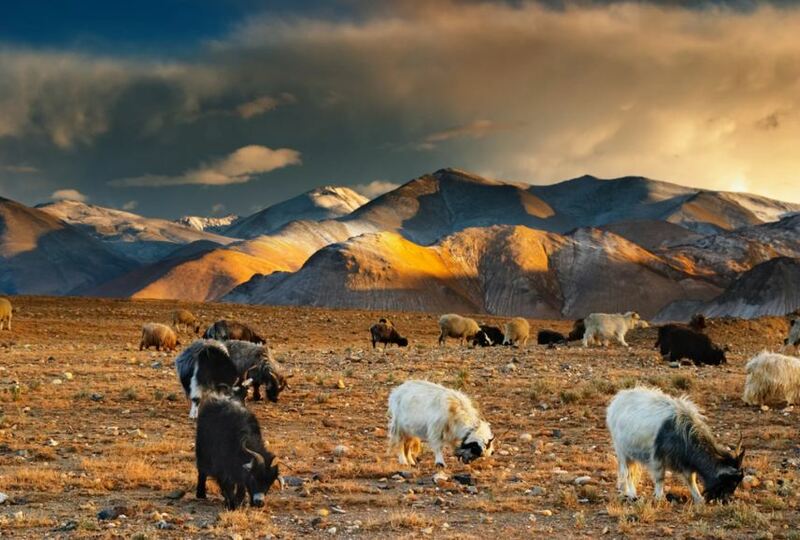 The chambers will be built at selected locations across the Tibetan Plateau to produce rainfall over a total area of about 1.6 million square kilometres (620,000 square miles), which is three times the size of Spain. The chambers stand on steep mountain ridges facing the moist monsoon from south Asia, the report said. And as wind hits the mountain, it produces an upward draft and sweeps the particles into the clouds to induce rain and snow. The project is currently at a testing stage, with more than 500 burners having been deployed so far on alpine slopes in Tibet, Xinjiang and other areas for experimental use. The data collected thus far were stated to show very promising results. The system is said to be under development by the state-owned China Aerospace Science and Technology Corporation, a major space and defence contractor that is also leading other ambitious national projects, including lunar exploration and the construction of China’s space station, the report said. Space scientists designed and constructed the chambers using cutting-edge military rocket engine technology, enabling them to safely and efficiently burn the high-density solid fuel in the oxygen-scarce environment at an altitude of over 5,000 metres (16,400 feet), the report cited a researcher as saying, speaking on condition of anonymity due to the project’s sensitivity. The report said the idea was not new, for other countries like the United States had conducted similar tests on small sites. However, China is the first to attempt such a large-scale application of the technology. A single chamber can form a strip of thick clouds stretching across more than 5km. “Sometimes snow would start falling almost immediately after we ignited the chamber. It was like standing on the stage of a magic show,” the report quoted the researcher as saying. The report said the technology was initially developed as part of the Chinese military’s weather modification programme, with designs to trigger natural disasters such as floods, droughts and tornadoes to weaken enemies in the event of severe conflict. The massive project is not without critics, however. In theory, the chambers could affect the weather and even the climate in the region if they are built in large enough numbers. But they might not work as perfectly in real life, the report cited Ma Weiqiang, a researcher with the Chinese Academy of Sciences’ Institute of Tibetan Plateau Research, as saying. “I am sceptical about the amount of rainfall they can produce. A weather system can be huge. It can make all human efforts look vain,” Ma has added. Ma is also said to feel that Beijing might not give the green light for the project either for the reason that intercepting the moisture in the skies over Tibet could have a knock-on effect and reduce rainfall in other Chinese regions.